CEDAR CITY — A driver lost control of his vehicle Friday morning and caused a chain-reaction collision on the Main Street overpass near Exit 62 of Interstate 15. 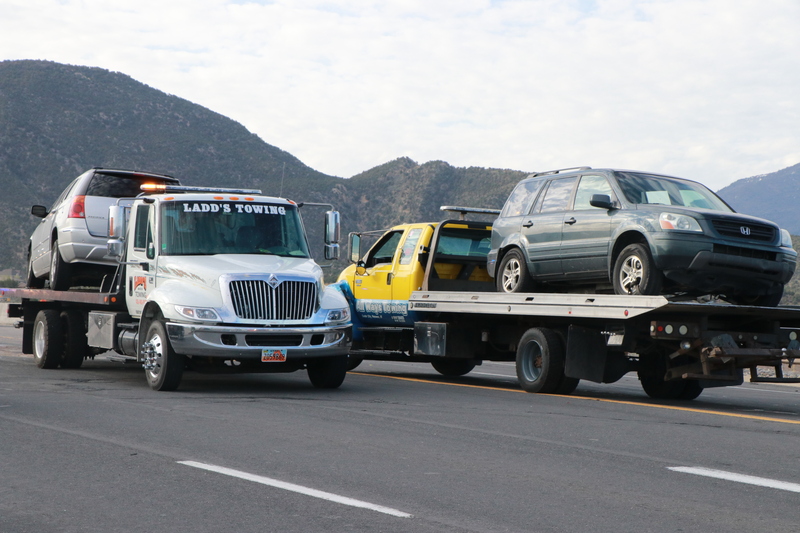 The incident, which occurred shortly before 8:15 a.m., involved four vehicles, Cedar City Police officer Zac Adams said. Adams said the car that initially went out of control was a silver Chrysler Pacifica, which first clipped a Chevy Tahoe before colliding with the rear end of a dark gray Honda Pilot. The Pilot then collided with a white Pontiac Bonneville. Investigators are still trying to determine what made the Pacifica driver swerve suddenly and hit the other cars. No citations had been issued as of Friday afternoon, but Adams said citations or charges may be forthcoming pending further investigation. Adams said there were some injuries reported, adding that one of the drivers was transported by ambulance to Cedar City Hospital for injuries that were not believed to be life threatening. Traffic was restricted to a single lane in both directions for about 45 minutes as responders worked to clear the scene. Adams reminded drivers to be patient and drive slowly around an accident scene and to obey the directions given by officers. d. someone who moved from St George to Cedar City.